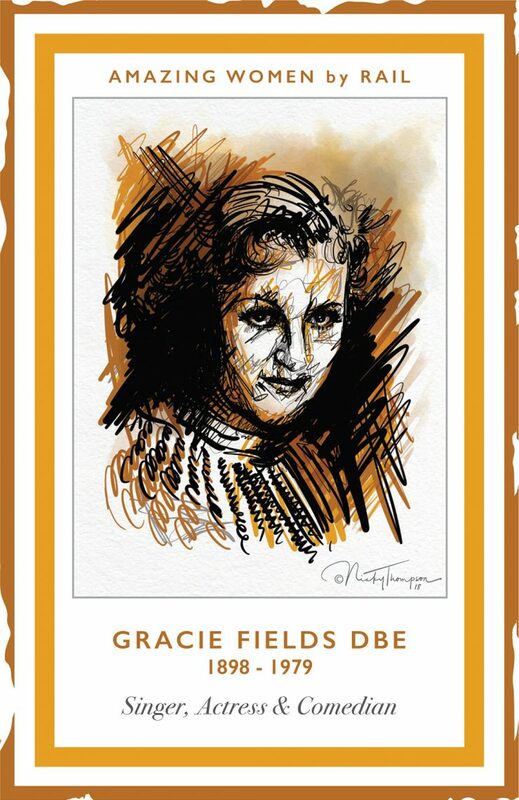 Gracie Fields (1898 – 1979) was a singer; actress; comedian. 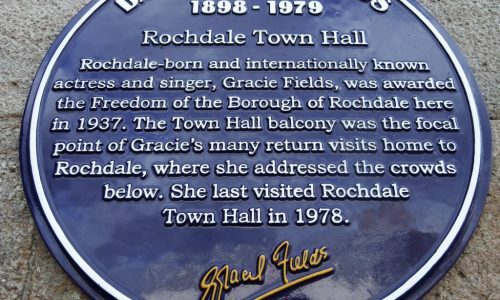 Gracie was educated at Rochdale parish school and worked as a “half-timer” in a cotton mill. She soon became famous as a juvenile performer. 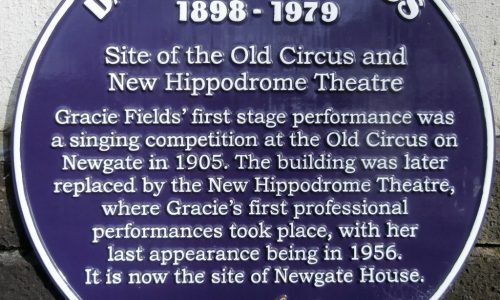 Gracie joined Archie Pitt’s company who toured the provinces with “Mr Tower Of London” and reached the West End by 1924. 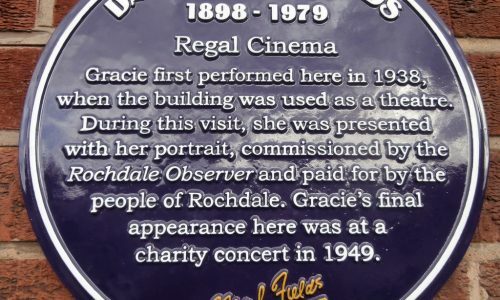 Between 1931 and 1937 Gracie made eight films. She was also a top recording artist. 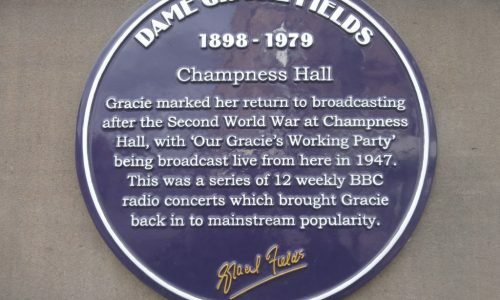 During the Second World War Gracie raised £300,000 for the Navy League and toured extensively entertaining the Allied troops. After the war she retired to the island of Capri, but still appeared occasionally on British television.